Well, February is fast approaching once again. Valentine’s Day will be here before you know it. When the time comes, will you be ready to woo your sweetheart? 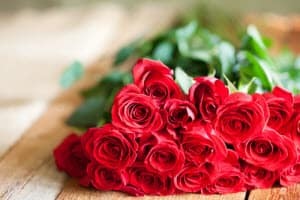 If you’re struggling to come up with Valentine’s ideas, these Doral, FL, flower and candy shops have got some solutions for you. Some Valentine’s Day gifts may be a hit or miss, but almost everyone loves chocolates and sweet confections. Cao Chocolates is all about the art and science of candy. They’re currently the only small-batch artisan making bean-to-bar chocolates in all of South Florida. Truly, the difference in freshness and quality really stands apart from the rest. 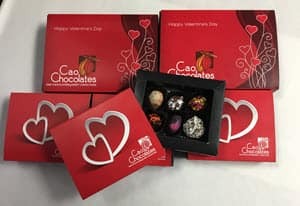 In addition to their delectable bars, Cao Chocolates has a wide assortment of truffles, bonbons, fruits, and nuts to choose from. If it’s just flowers you need, then you can always rely on Jet Fresh Flower Distributors®. They work with over 100 of the top flower farms in the country to provide you with a diverse and exotic selection. With four generations of flower knowledge and sales under their belt, Jet Fresh® understands what a rush Valentine’s Day can be. That’s why they have convenient online purchases and extended holiday delivery hours. Look, we understand that Valentine’s Day is not everyone’s bag. If you’re one of those people, you may just be looking for a one-stop shop this holiday. Luckily, you can turn to Trias Flowers. Trias has previously been voted the Best Florist in Miami, so you can rest assured the quality of their arrangements is top-notch. However, they also offer gifts baskets, chocolates, stuffed animals, candles, and more. Does your Valentine need anything more than that? Whether you’re a regular Casanova or not, you can’t go wrong pulling out all the stops this Valentine’s Day. Lucky for you, these three candy and flower shops are here to make things easy. Place your orders now!